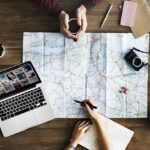 Travel and vacationing is an expensive enough pursuit before you even reach your destination, but when you arrive, there are bound to be yet more expenses to cover. If you’re going on vacation with your children, that adds a whole new layer of potential expenditure, and if you’re not careful, it can add up to a sizeable amount of money. However, you can control the budget for your trip even if you have got the kids with you, and here’s how. When you visit another country, you’ll find that very often the price you would pay for an item where you live is completely different to the price it is elsewhere. A humble loaf of bread or carton of milk could vary wildly in price from country to country, and if you don’t know how much they are you could be in for a shock when you go shopping. Prices aren’t always higher, you could find that living costs are far lower in your vacation destination, but it helps if you know before you go. Check on the costs of excursions and activities, entries to visitor attractions, eating out, and anything else you’re likely to want to spend money on while you’re away, so you’re prepared when you arrive. You also need to keep an eye on the current exchange rate, to see how much your money is worth in the local currency. There are lots of small items that cost very little at home but far more when you’re on vacation. A simple packet of tissues could cost four or five times as much if you buy it when you’re away, and it only takes a few transactions like that to mount up to a noticeable amount. 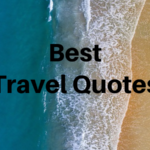 You may not be able to take everything you could possibly need, and if you have to pay for an extra suitcase on your flight just for all the items you imagine you might want, you could well wipe out any savings you’d make on not buying goods at your destination. Be sensible about your packing, and have a detailed list of all the essentials that you’re most likely to need. This website is full of tips on how to be a savvy traveler, so there’s no better place to find useful information to help you manage your travel finances. You’ll find there are numerous ways in which you can spend your cash more wisely and productively, for example, do you have a credit card that earns you points when you use it? If not, you can learn more about the benefits of these schemes and the different types of cards available. If you keep spending money on them, most kids will keep on asking for more. The problem is that they don’t always appreciate the value of cash, and how hard you have to work to earn it – or the fact that there’s a limited amount to go round. By the end of your vacation, you could either be severely overspent or fed up of saying no to the kids when they plead for just one more treat. The answer is to give them their own money to spend, either by the day or for the whole week. You need to make sure they understand that when it’s gone, there’s no more – and don’t ever make exceptions, or you’ll find yourself back with the same old problems. You also need to have clear rules as to what the money is for, which you can create to suit your situation. For example, you might be happy to pay for food and entry tickets when you’re out for the day, but any souvenirs or toys have to come from the child’s spending money. There are bound to be some attractions that you want to visit that charge an entry fee, and for a family that can be a fair chunk of change. It’s always nice to have a few of these special days, but you don’t have to fill your vacation with them. There are many free and low-cost alternatives that your kids and yourselves will be just as happy with. The seaside. Access to most beaches is free, although you may have to pay for parking if you drive. 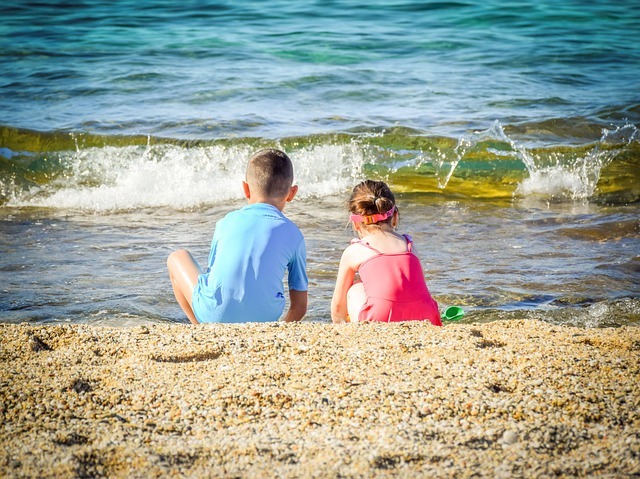 Once you’re at the beach, you have a good choice of activities to suit all ages and interests, including sunbathing, creating sand sculptures, collecting seashells, looking for fossils, exploring rock pools and looking for crabs under the rocks, and of course playing or swimming in the sea. Public parks. If you’re in or near a town or city, even small villages in some countries, you should be able to find a public park to play in. You can pack a picnic and enjoy the scenery as you eat, take a ball and have a kickabout, fly a kite if it’s a windy day, or do some wildlife spotting. There may well be play parks or play equipment too. Forests. Many forests are run by national organizations that provide facilities for tourists. Many are free to enter, although again you may need to pay a parking charge. You’ll often find cycle trails and waymarked walks for all abilities, and in certain parks, there will be features such as boardwalks, adventure trails, play equipment, and birdwatching hides. The point of a vacation is to relax and enjoy yourselves, spending quality time with the people you love and getting away from the stresses and strains of daily life back home. The last thing you want is to be constantly stressed by a tight budget or pestering children, as you won’t feel the benefits of your vacation. You can have an enjoyable and relaxing time away with your kids, providing you become a truly savvy traveler. 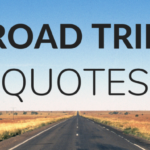 Road Trip Quotes: 45 Best Quotes To Inspire You To Hit The Road!